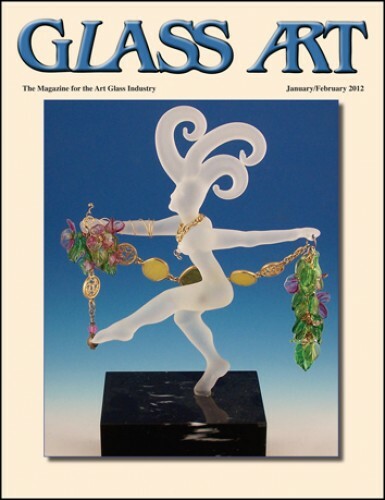 Glass Art editor Shawn Waggoner gives readers an overview of what awaits them in the January/February 2012 issue of Glass Art, which includes profiles for renowned colorist Robert Pinart and lampworking artist, Lewis Wilson, plus suggestions for helping to advertise and grow the business side of glass art. Photography by James Oursler, Barbara Krueger, Lazlo Regos, Ken Cobb, and Mark Lebowitz. Robert Pinart, who began his creative adventure in glass in his native France, crossed the ocean after World War II and settled in the greater New York/New Jersey area. What followed was his collaboration in the design of many architectural stained glass masterpieces with Bill Cummings of Cummings Studio, who remembers Pinart as the best colorist he has ever known. Ed Hoy’s International recently sponsored a keynote address by Mark Stinson, who works with clients to identify and support customer strategies, and challenged attendees to complete a survey to help profile their customers’ interests. Kevin Tappin, owner of Stained Glass Stuff, recently took the challenge and shares his findings on how he is working to provide his customers with what they need most from his store. Mark Veit shares ways that he and his partners at AAE Glass have found to make the best use of social media marketing and blogs to promote their glass business, introduce new products, provide information through links to their website on their blog, and cross-reference their company on the blogs of partnering companies. Art Glass in Art Class, Year IV—Better than Ever! The Art Glass Association (AGA) held its fourth annual Art Glass in Art Class campaign, where art class teachers were encouraged to promote the glass arts in their public school art classes. Teachers were introduced to the correct tools and provided resources for information and assistance once the show was over. One teacher also shared how simple glass pendants created and sold by her students helped her art program raise much-needed funds for her local art program. The Society of American Mosaic Artists (SAMA) is helping people learn to “speak” the unique language of mosaic by others the meaning of the Italian terms that refer to the various processes involved in the creation of a piece of mosaic art. The group also works hard to introduce the various types of mosaic art to those who are newly initiated to the art form. Lewis Wilson, a flameworker whose long beard and top hat are his constant companions, has discovered new depth in his glass art since his marriage to Barbara Svetlick. Both glass artists are enjoying their new collaboration in life as well as in their art, as well as continuing to explore their individual glasswork. The American Glass Association of Southern California (AGASC) celebrated 30 years as a nonprofit organization that is devoted to educating the public about the glass arts with a fabulous exhibit of members’ work. Winners were announced for several awards, including Best Cold Category, Best Blown Glass, Best of Show, and the People’s Choice Award. Marcie Davis interviews German artist, John Zinner, as he shares his background as a glass artist in Lauscha, Germany, before, during, and after the days of the German Democratic Republic. He also covers the development of his signature red devil glass sculptures, as well as his skeletons, big insects, and large animals. Milon Townsend shares suggestions for getting companies and manufacturers interested in taking advantage of opportunities to partner with artists who are creating educational videos by supplying glass and tools in exchange for video credits. This approach can greatly reduce the cost of producing the video for the artist. A view of The 2011 Gathering of the International Society of Glass Beadmakers (ISGB) is offered through the impressions of first-time attendee, Darlene Welch, who shares highlights of the conference that was held in Louisville, Kentucky. This gallery features the winners of the annual Dichroic By Design presented by dichroic glass manufacturer, Coatings By Sandberg. This outstanding year for the entry of these dichroic creations resulted in the selection of one first-place winner plus ties for both second- and third-place winners. 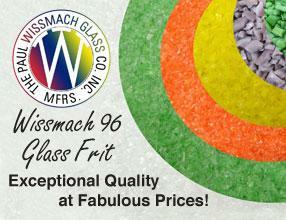 The Glass Art Society (GAS) announced the presentation of its latest annual awards. The organization’s 2012 Lifetime Achievement Award, which goes to individuals who have made outstanding contributions to the development of the glass arts worldwide, goes to Joel Philip Myers and Bertil Vallien. John Steinert of Steinert Industries was the recipient of the 2012 Honorary Lifetime Membership Award. Architectural glass art is being transformed by renowned stained and leaded glass artist, Paul Housberg, who has taken modern glassworking techniques and adapted them to large-scale installations. The artist is known for his innovative use of glass in architecture and has steadily gained worldwide recognition. The Corning Museum of Glass is celebrating the 50th anniversary of the American Studio Glass movement by presenting two exhibitions that feature the work of the movement’s pioneers, Harvey K. Littleton and Dominick Labino. The experimentation and glasswork of both men is responsible for creating a great impact on glass technology, education, and art. Bruce Baker shares the importance of finding the correct amount and type of lighting for use in trade show booths, which can mean the difference in presenting products to their best advantage. Following rules for electrical safety when installing booth lighting is also of the essence.